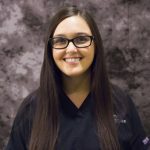 Hello, my name is Lisa and my role in the office is to meet with patients and their families to facilitate all of their financial needs. Please don’t hesitate to call me with questions! 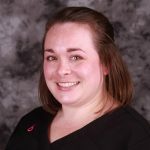 I’ve worked in orthodontics since 2010 and I simply love the atmosphere. Seeing firsthand the difference that treatment can make for patients is a pleasure . I had treatment myself as an adult with Invisalign and love my results! I’m originally from LaVista, Nebraska and have lived in the Omaha area my entire life. My husband and I enjoy spending our free time outside, playing volleyball, softball or grilling in the backyard with friends.